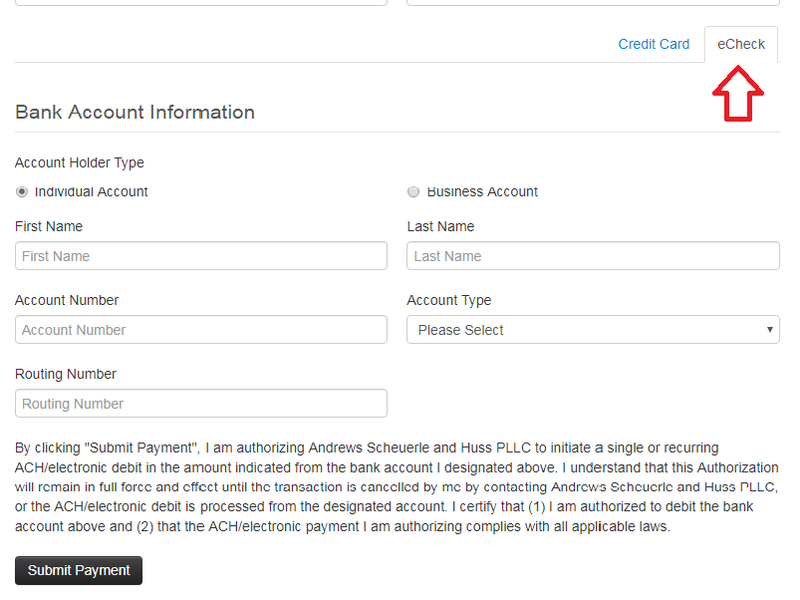 As of March 26, 2018, Andrews Scheuerle + Huss, PLLC accepts payments via electronic check! To make a payment via electronic check, click HERE to visit our Payments page. Complete the information concerning the account owner and type, along with the account number and routing information, and hit submit! Rest assured that our payment processing service securely transmits your payment to our firm, and that this software uses advanced security and screening processes to help ensure accurate account information, advanced fraud protection, and routing number verification. Paying your invoices has never been easier! If you have questions about this service, please contact our office at (231) 722-7766.